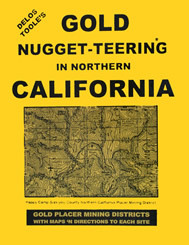 An indispensable guide for the California gold nugget hunter! This book has tons of topographic gold maps for Northern CA counties, and a bounty of other useful information. Paperback, 8.5" x 11", 140 pages.